Migraine Monologues: Stomach Spasms, The Dietician and Me. Black spots started to appear before my eyes and the room began to swim. No, I was not in the throws of a migraine aura but in the midst of a horrific stomach spasm that often accompany my migraines. “It’s OK I’ve got you, just keep breathing.” Mum held onto me, applying cold flannels to the back of my neck and forehead. My legs had turned to jelly and I was sweating through my clothes. My mind flashed back to one particularly vicious incident when these stomach spasms first started happening: I was in the kitchen of our old house and I realized if I didn’t lie on the floor I’d pass out. My cheek stuck to the floor varnish, I noticed a piece of carrot was stuck under the oven and I really hoped the friends I had staying wouldn’t come downstairs and find me lying prostrate on the kitchen floor. When it finally passed I stood up and there was a Victoria shaped pool of sweat. Attractive. But back to the present day, and in a haze I was aware of Mum doing some puffing and panting thing and telling me to copy her. So I did. Clearly I wasn’t in my most charming mood. But I already don’t eat dairy (I’m lactose intolerant) and I even gave a friend a book about healthy eating for Christmas, I know, I give the best gifts but I am pretty good about healthy eating. I just didn’t see the point of yet another consultation. 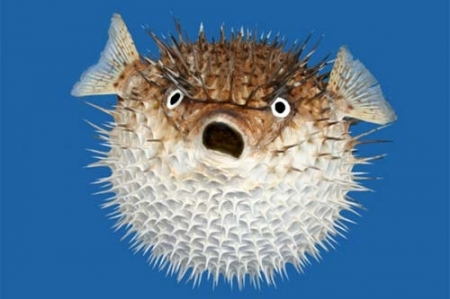 And with that another spasm struck: cue two women puffing and panting like blowfish (Mum puffs/groans/sighs along for moral support.) Gripping my hand tightly, Mum tried once more, “She might be able to prevent this from happening again, you just don’t know. Isn’t it worth it!? What I haven’t yet told you, is that this conversation all took place on The Throne, The Jon, or what we like to call it here in Great Britian: The Loo. These spasms often culminate with a release, shall we say. Don’t worry that’s all I shall say on the matter, I’m from Great Britain after all. And yes, I realize my Mother deserves some kind of Saint Hood for hanging on in there with me. My stomach spasms, which are apparently lower intestinal type spasms, started shortly after my migraines did. They never occur with my migraines, thank god, but after a bad bout of migraines. I only put two and two together quite a few years after I was diagnosed, as usual I had to do the detective work. The spasms also used to occur after I’d been taking a lot of strong NSAID, for said migraines. For anyone’s mild interest, they don’t always end on The Loo. As my neurologist likes to say the gut goes on strike during a migraine, i.e the gut and stomach shut down during a migraine even if, like me, you don’t vomit. This is why it can be so difficult for some people to get their medications into their system. To me, therefore, it makes total sense that after a three day migraine, when your stomach starts to work again, there are going to be some kinks in the system, some seriously painful trapped wind that needs to work its way out. Research, however, is beginning to suggest that stomach issues might be a problem for migraineurs full time, i.e not just during a migraine episode, or like me – just after a bad spell. I recently learnt a new word: comorbid (try and be pretentious and drop it into daily conversation as much as possible today) and did you all know that IBS and migraine are comorbid? 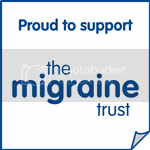 I’ve been putting off writing about my delightful stomach spasms for ages but The Migraine Girl’s post on migraine.com reminded me that I’m not alone and that stomach upsets of various sort are all too common for us migrainuers and as usual – it’s not common knowledge. I had no idea until quite recently that IBS and migraine were comorbid. (By the way I'd like to be comorbid with Johnny Depp now that he's single.) I’m very lucky in that I don’t actually have IBS but I do get occasional IBS like attacks. And often migraineurs are mis-diagnosed with IBS when, in fact, it's all part of of life with migraine. So what does all this have to do with a Dietician? Can food help with this? 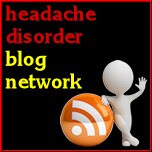 Well I’m afraid dear readers I’m still in what I call migraine hangover land so I’ll save the story of meeting The Dietician and all that I learned for the next exciting episode of migraine monogloues…..
What do I do when I get a stomach spasm? Try to get less migraines...! Migraine:indigestion,constipation,diarrhea, weeing a lot, intolerance to some foods/drinks. Sometimes I get really bad indigestion for a couple of days before a really bad migraine,it slots into pro-drome for me. You can actually feel that your body has stopped processing food as most of it is on your chest, making you feel as if you are choking! Oh the joys of migraine!! another great entry. I'm intrigued as to what the dietician had to say because there are some interesting science facts about the gut and the brain (and I have a Phd in pharmacology and specifically pain so can claim to know a bit about some of this stuff!). So the gut has its own independent nervous system which is embedded in the gut wall and called the enteric nervous system (but often referred to as the 'little brain of the gut'). It contains more neurons than the spinal cord so is a pretty big deal. The gut's brain is similar structurally and functionally to the brain and whilst it can function totally independently from the brain, it can also be affected by the brain and vice versa. Just think how often our mood affects our stomachs i.e if we're nervous we feel sick, butterflies in our stomachs etc. So unfortunately it is not surprising that stomach problems and migraines go hand in hand. Therefore, I think it would be unlikely that changing your diet would help that much with the stomach problems but would be happy to be wrong if it it does. I suddenly remember Mrs.Puff after reading your experience about stomach spasms. I was on the same predicament last month and I really don't know why then I suddenly remember a long island dietician saying that it can be because of your diet, then for a week I just eat some fiber rich food and the spasms never came back.